Growing: Â Easy to moderate This strain is a pure landrace 100% sativa marijuana strain that originated from Cambodia. Â It grows tall and best introduced in an outdoor growing environment where it will be given enough time to fully flourish. 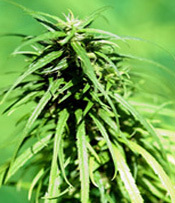 Â It can be grown even by beginners who have ample space and also the patience as well as basic understanding of marijuana cultivation.Flowering time for Mekong Haze is a bit longer than most commercially available cannabis strains and it may need a full 15 to 18 weeks to flower in most instances. Â Expect a high yield for this strain which may reach up to 600gr/m2 in an ideal growing environment. it will emit a sandalwood and earthy tones aroma during flowering period and this is carried on to the taste. Â The effect when smoked is similar to a cerebral high that has an uplifting effect and as described by the breeder, dances around your brain. This is a really long and delayed flowering marijuana strain and you will need to be patient with it along with fungi that might destroy the buds.Â Excellent yield yes and terrific high almost a class of its own.